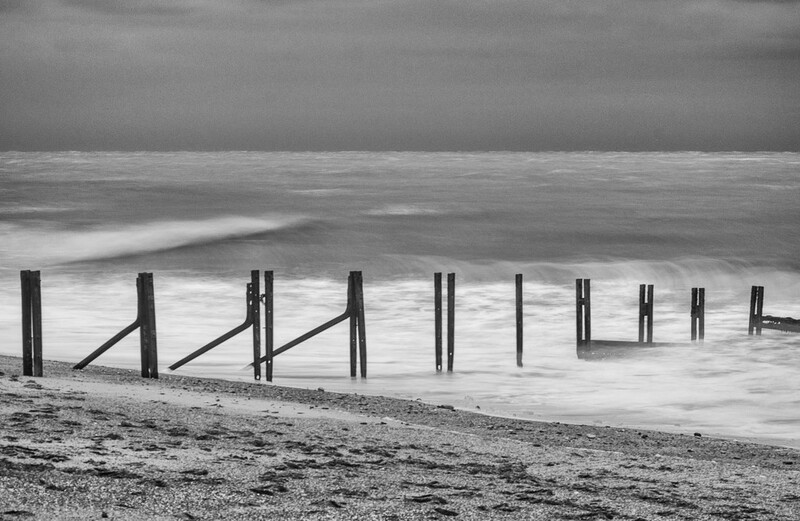 Still high winds at sea and high tide when I was at the beach today so played with shutter speeds and an ND filter. Harder than I thought, think my speeds were too slow, but it's all a work in progress. Am finding b&w very restful after all the colour of this month! I think you did a grand job. I was down you way today (well almost - Tonbridge) and it certainly was no beach weather! Instead of choppy the sea looks ethereal. You have softened those waves and the spray - very nice! Really like this image. So soothing. Interesting shot, doesn't look like high winds etc. I really like the soft look Felicity!